Contagion Movie Review: Catch It! Contagion is not Outbreak. One, the latest film from Steven Soderbergh produces a much more real version of how an international virus outbreak could cripple the entire world. And two, Contagion catches a fever with audiences in how Soderbergh can craft a mystery movie under the guise of a global catastrophe film. The cast -- and director -- of Contagion is top notch. Oscar winners Matt Damon, Kate Winslet, Gwyneth Paltrow, Marion Cotillard and Soderbergh are involved as are Oscar nominees Jude Law and Laurence Fishburne. Any film from the director of Traffic with a larger cast and an even larger international scope would have us intrigued. With Contagion, film viewers go on a journey from the get-go that is equal parts ensemble film, thriller, international espionage and medical movie. Paltrow’s character comes back from a business trip to Asia with what she believes is jet lag like she’s never felt. Within 24 hours, she is ill beyond all help. Damon portrays her husband. When he takes her to the emergency room it is too late. A Contagion has killed her. That is no spoiler, the fact of Paltrow’s death is a given from the film’s trailers. But what makes the moment extraordinarily powerful is Damon’s performance upon hearing the news. But then again, the trifecta of Paltrow, Damon and Law previously created cinematic gold in The Talented Mr. Ripley. In Contagion, Law is much more distant to the Damon-Paltrow storyline, yet equally as central to moving the plot. Contagion features Law as its voice of reason and in many ways, its narrator. Even though they are on separate sets, in one scene with a Sanjay Gupta interview featuring Law and Fishburne, Law manages to out Fishburne the Matrix actor in leveling the audience’s perception of how a scene is expected to go with a stroke of their talent. 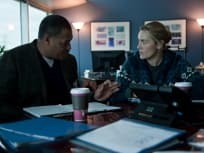 Like Traffic, Contagion should get the Oscar race moving in early fall. Let the Oscar buzz begin with Damon, Soderbergh, Fishburne, Jennifer Ehle, Law and Winslet. Is it a best picture contender? Time will tell how the fall films land. As Movie Fanatic heads to the Toronto Film Festival to see the best that film has to offer in 2011, that “one of the best of the year” moniker possibly will multiply. In the shadow of the tenth anniversary of the 9/11 attacks, one point to Contagion resonates. A decade after terrorists unleashed fear in the United States unlike this country has ever seen -- even fictionally -- it is good for us to witness a “how would we react to an international disaster” film in order to get a gut check as to where we stand on the important anniversary of the very real disaster. Soderbergh has often turned his camera into a mirror on society and Contagion is no different. Movie Fanatic believes it is reflective of how the United States would react to a threat that is of human or biological means. Contagion’s weapon of mass destruction is not man made, yet its fictional powers are spot-on in the catastrophe code of conduct as to how the human race would react to such a disaster. Someone doesn't have to weaponize the bird flu. The birds are doing that.